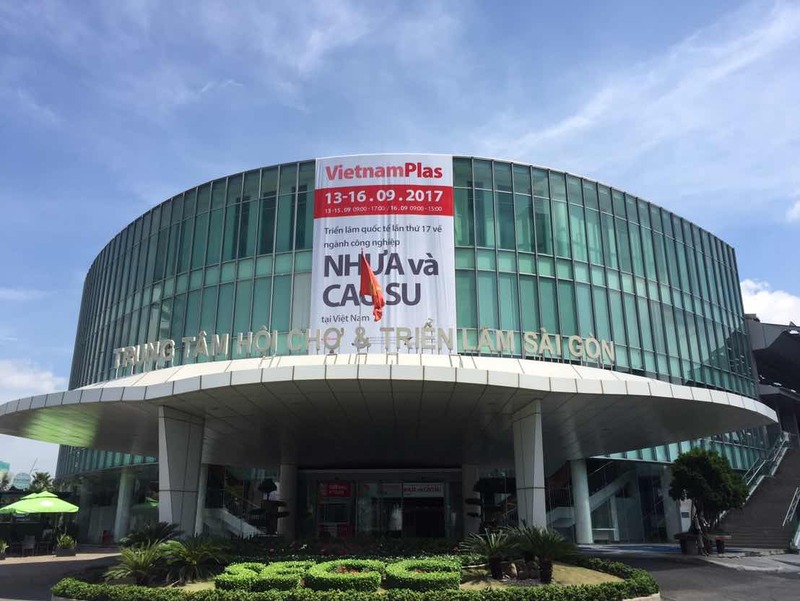 2017 The 17th Vietnam International Plastics & Rubber Industry Exhibition Time: 2017/9/13(Wed.) - 2017/9/16(Sat.) 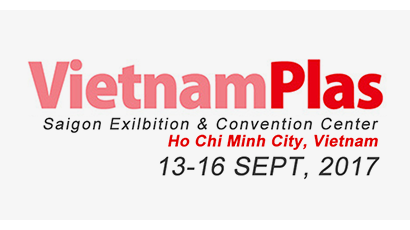 Place: Saigon Exhibition & Convention Center, HCM City, Vietnam 哈哈Booth No :502 Exhibition is coming soon! Ready for your ticket! See you in Vietnam. One of the hospital in this case which located in Chiayi . 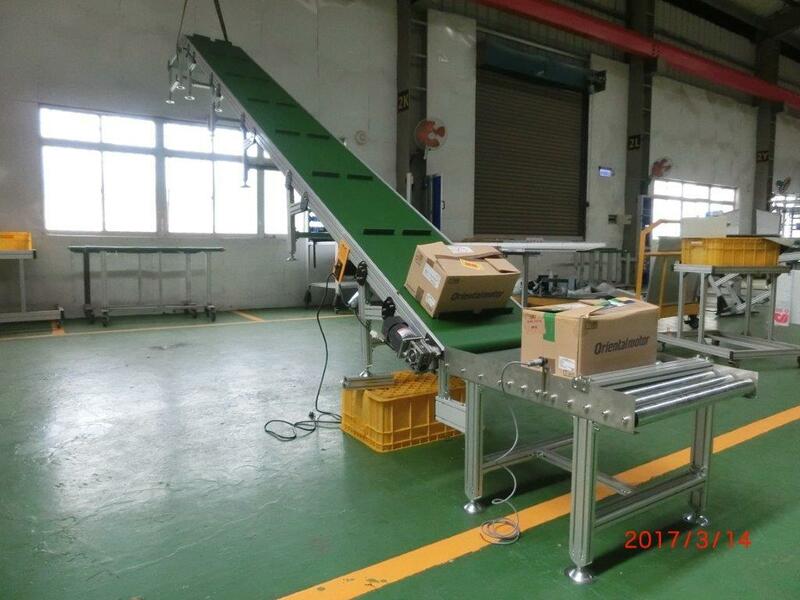 For fast prepare the meals, the meal plate conveyor idea. 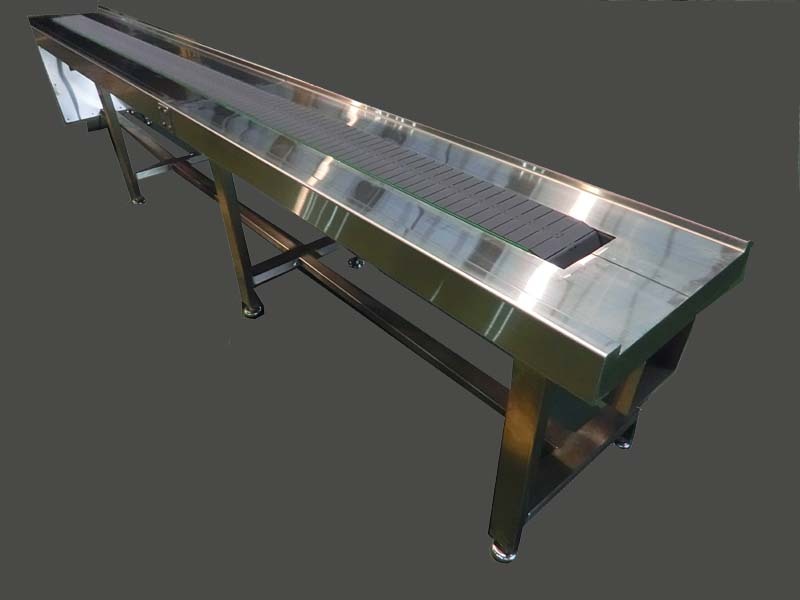 Li Chen company use the stainless steel top plate type conveyor to designed it to achieve the goal of labour saving and high speed. One of famous manufacturer of mechanical component, which located in central of Taiwan. The conveyor use to moderate infiltration anti-rust oil and anti-rust oil. Li Chen company has designed the aluminum type of roller conveyor and stimulate metal steel type conveyor. In addition, it gives more space opportunity by conveyor itself. So that will be more convenient for staff to work with and cost savings. 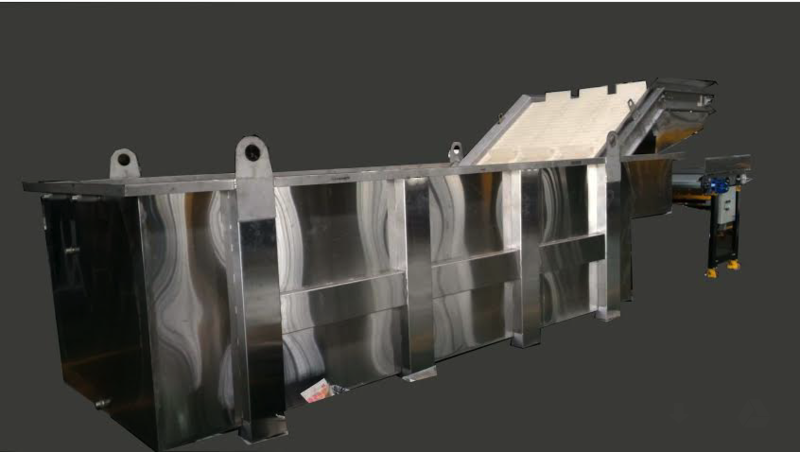 It’s an honored for「LI-CHEN industrial」to involve in the well-known ventilation fans manufacturer production line. 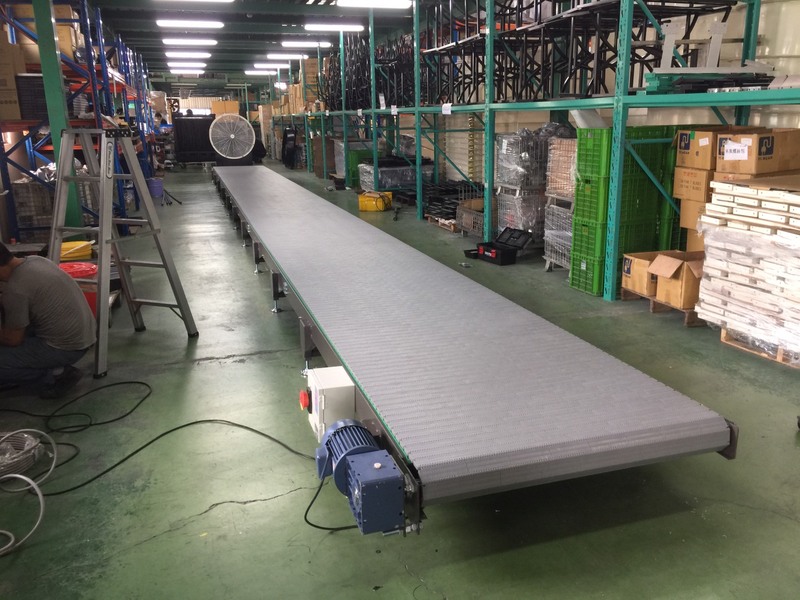 「LI-CHEN industrial」 basically design by using the steel plastic belt conveyor which is more efficient and convenient for operator to assemble ventilation fans. At same time, it also can reduce capital expenditure. This case applies to transport objects from 1F up to 2F, or from 2F down to 1F. Objects were moved by personnel, it required a lot of time and efforts and it also had potential danger to labor. 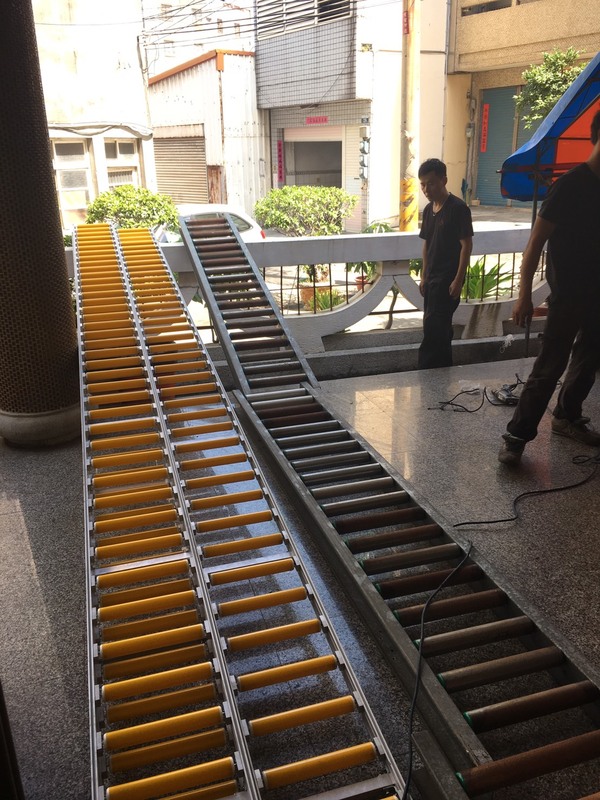 So Lichen has designed an Aluminum Belt Climbing Conveyor and 2 Non-Powered Roller Conveyors placed at both ends of belt conveyor with control sensors. Conveyor will stop running when objects moving into sensing area, so the personnel can take out the objects without safety concern. Announcement for Dragon Boat Festival Vacation Kindly notify that our Dragon Boat Festival Vacation will be start from 5/27 to 5/30. Thank you.